bumgenius Elemental AIO cloth diapers are one-size and fit most babies 8-35 pounds. This is roughly birth through potty trained! 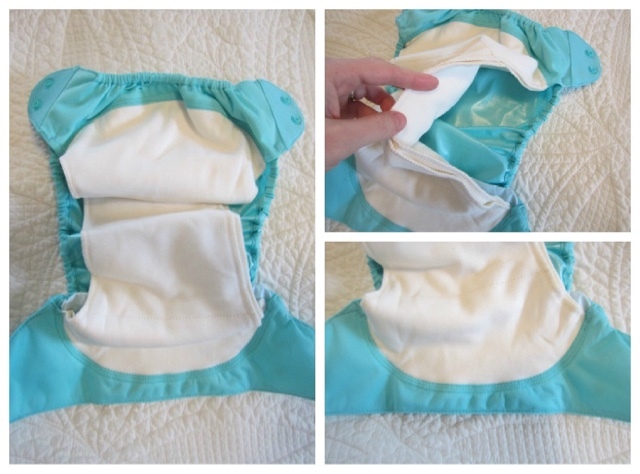 This diaper is a must have for any family desiring natural fibers when diapering their child. The Elemental has layered organic cotton sewn together for optimal absorbency. The insert splits for quick dry. The organic cotton is sewn to both sides of the rise of the diaper making changing a one step process. Just put the diaper on your baby and go! The extra fold of organic cotton inside the diaper may be put to the front or the back of the diaper to appropriate absorbency for a boy or girl. We suggest buying 24 bumGenius Elemental diapers for a two day laundry schedule.